GPS navigation systems have evolved to a point where users generally expect free lifetime map updates (roughly 15% of roads change each year) and a speed limit indicator. Displays are larger, some as large as 7 inches, but the bulk of the market revolves around 5-inch car GPS systems. 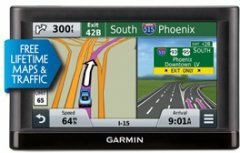 The current best car GPS 2019 is the Garmin Nuvi 2757LM and the 2nd-best model is the Garmin nuvi 65LM. Here is the full top 10 list, followed by special categories and, finally, a complete list of car GPS brands and models. 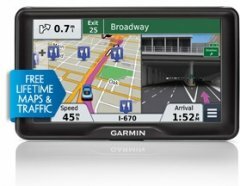 Given its compound ranking of 88%, we conclude that the Garmin Nuvi 2757LM is, as of now, Alphachooser's best car GPS 2019. Alphachooser also concludes that our sample of 728 reviews from our sources gives us a high confidence level (more on confidence levels) that prompts us to name it a "no-brainer best choice." 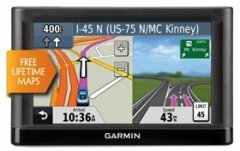 With its 4.5 stars averaged from 194 reviews, here is second best car GPS. * This choice (and the following members of this best car GPS models list), is based on a full analysis of hundreds of car GPS reviews from across the web. 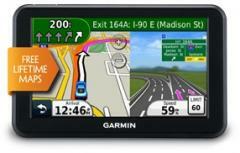 Our illustration: The Garmin dezl 780 LMT-S.
Our illustration: The Magellan RoadMate 2622-LM. Our illustration: The TomTom TRUCKER 620. A 5-inch GPS module with 20 satellite channels, a media player, and up to 32GB MicroSD expansion. 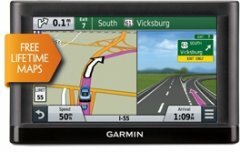 Entry-level 7-inch Windows OS-based car GPS and tablet with a media player and e-book reader. A 7-inch GPS boasting phone and tablet features like its Android 4.2.2 OS, dual cameras, and dual 3G SIM usability.